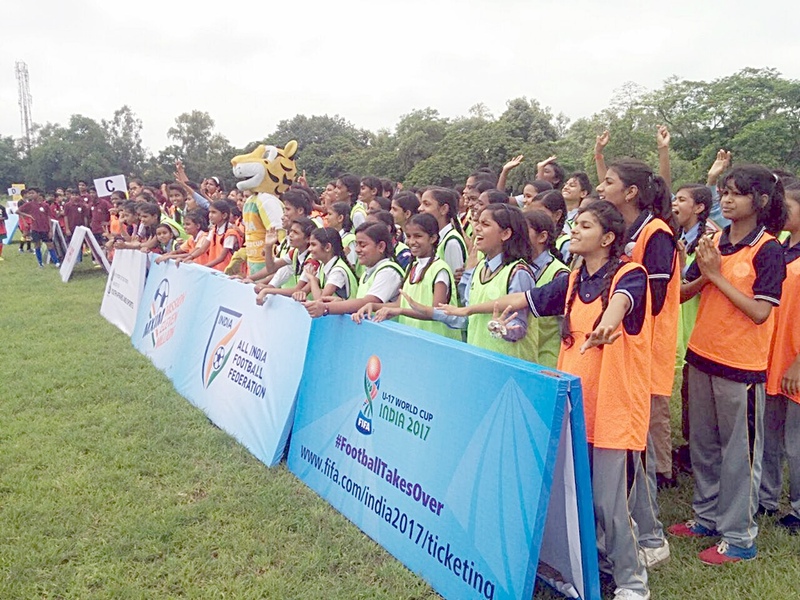 With just two months to go for the FIFA U-17 World Cup, football is indeed taking over the country with another city, Bhopal, successfully joining in line to welcome a Mission XI Million Festival. Bhopal’s Campion School saw hundreds of school students take to the game enthusiastically on the occasion of yet another massively attended Mission XI Million Festival. More than 500 students from 50 schools in Madhya Pradesh’s capital came out and learned about the skills of the sport and celebrating the beautiful game. Project Director of Local Organising Committee of FIFA U-17 World Cup 2017 Joy Bhattacharya said, “Mission XI Million has helped us gauge the massive popularity that the game enjoys in the country, because of the simple reason- it doesn’t take a lot of resources and through Mission XI Million, it is also accessible to more students.” A Govt. of India and the All India Football Federation project, the MXIM festivals are gathering more steam as the tournament approaches. The project hopes to take football to eleven million Indian kids before the World Cup commences. More than 6 million kids have been reached so far as a part of this project. Mission XI Million festival will be held in the beautiful city of Chandigarh tomorrow.